ALL Apple Lightning Connected Devices. 【Advanced Certification】: Approved for UL & CE & FCC Certification. No interference issues with Radio, Bluetooth or Wi-Fi. All Syncwire product passed CE and FCC certification. The optimal using length of this lightning cable we tested is 0.6m-0.8m. Made for iPad, iPhone and iPod. We pride ourselves on our reputation for ensuring all orders are quickly processed and despatched. We will advise which is applicable. In special circumstances this may not be possible. It is compact and lightweight enough to slip into a pocket or handbag. Smart circuitry protects your device from power spikes. Galaxy Note II. Low-profile design blends with car interior. iPad Pro (12.9"). All products must remain sealed. 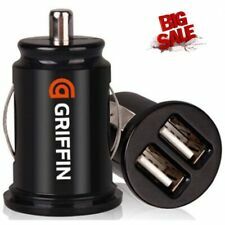 Accepts All USB Charging Cables with electronic overload protection. COLOR Rodom. 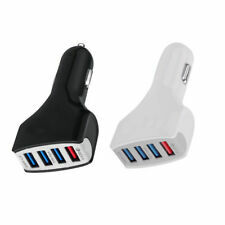 Description CHARGE TWO DEVICES AT ONCE Charge two devices at once, including the latest generation Apple devices, while on the road, and keeps you and a passenger fully charged wherever you go. 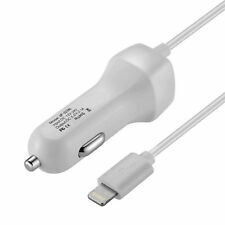 UNIVERSAL USB 2.0 PORTS The USB 2.0 Ports are universal, so you can still charge your legacy Apple devices with a 30–pin cable or other devices that use a Micro–USB cable. And you never have to share the power with your passengers—just plug in and power up at the same time. 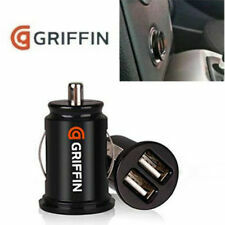 Features: ---Ultra-compact ---Plugs into any car power outlet ---10 Watts/2.1 Amp per port ---2 powered USB ports. Compact design, fits nicely into the recess and firmly into the actual power socket & allows for easy carrying. 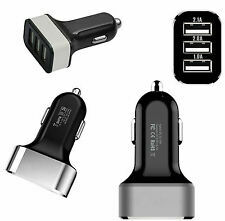 USB 3 Port 5.2A Car Socket Lighter Charger Adapter For iPhone Samsung iPod Pro!